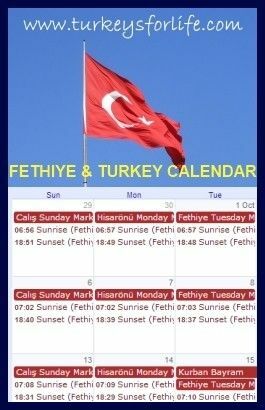 Turkey ▸ Fethiye ▸ January Weather in Fethiye – Better Than Last Year! So far, the weather in Fethiye has been much better this year than it was last winter. Last year was very wet and cold – lots of snow on the mountains to play in though – but this year has been much more normal. On Friday, I posted the lovely sunny photos of when we went trekking round Fethiye peninsula. Whilst I was doing that, what a difference. The weather was as you can see in the photo below. We don’t mind the odd stormy day in Fethiye though. There’s always something happening because we don’t just get a bit of rain. It absolutely buckets down – as you can see in the photo – and there’s high wind, thunder and lightening. Of course, this brings with it the inevitable temporary power cuts, which means you miss crucalo moments of TV, but it’s all part of the fun. The last couple of days have been absolutely glorious. Crispy clear and a cold breeze but it is winter so there should be a cold breeze. I told you about the snow finally falling on some of Fethiye’s lower mountains the other day. They’ve been covered in cloud since but I managed to get a photo yesterday (seebelow) while we were waiting for the dolmuş. Neither of us have any idea what this mountain is called actually – must find out. Does anyone else know? We don’t even know the name of the mountain range. Research needed I think. Well, as it was Sunday yesterday and the weather is feeling a bit more wintery, we decided to get a few Efes beers in and a bottle of wine and get all settled to have a night in with a film. We decided to watch Avatar. Rubbish! We’ll say no more on the matter. We did treat ourselves to some corned beef though and I made lobbies for tea to finish off the red cabbage. Lancastrians of Britain will know all about lobbies. Fresh crusty bread from the bakery for dunking in as well. Lovely! (We do love our Turkish food but sometimes you’ve just got to have an old favourite.) Barry actually managed to make the little key work all the way round as well to get into the tin. I usually end up having a fight with the tin because the key spirals and snaps and then I have to jab knives in. It all went very smoothly. great pictures, you are the only one I know who said rubbish to avatar, I have not seen it yet but will tell you about it. I’m not a big film fan so I’m hard to please but it just looked like big budget action with no story to me. According to the map it seems you’re surrounded by the Beydaglari (“Mr Mountains” 🙂 which are part of a larger formation called Taurus mountains. Maybe it is clear on trekking maps for the area? Trekking maps are like gold dust here. We have a Lycian Way one but only for that area – none of the mountains I need are on it. All the mountains are divided into sub-ranges and it bugs me not knowing what they are but nobody seems to bother with names much here. Avatar – good message, rubbish film!